With the 12 Hours of Sebring happening this weekend in Florida, we thought we would put up another blast from the past as we did around the time of the Daytona 500. 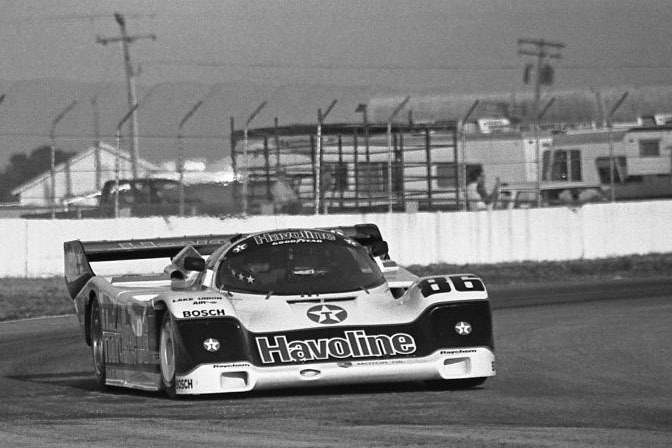 This time we have a selection of photos that Mark Windecker shot at the 1988 Sebring IMSA race. 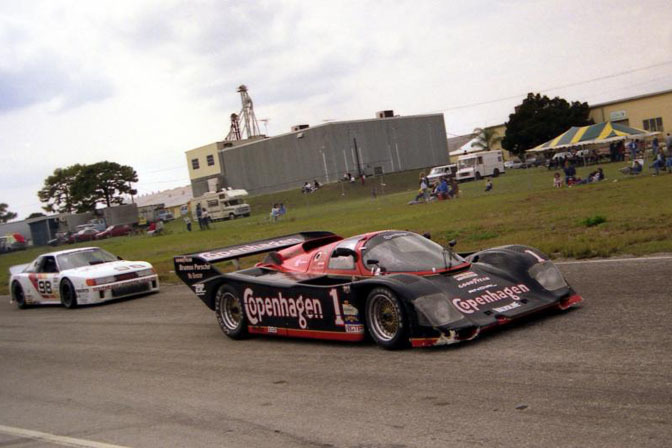 So, what did sports car racing in North America look like 23 years ago? 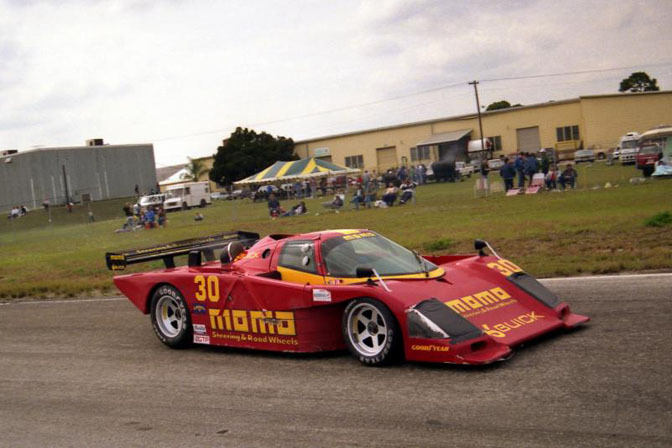 This was the era of the Porsche 962 of course. Here is Sachs 962 driven by John Winter, Frank Jelinski, and Paolo Barilla. 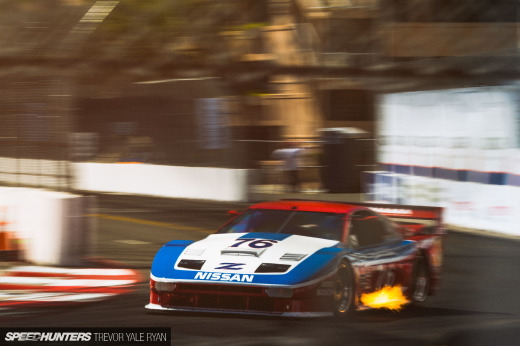 The GTO cars from this era are unlike anything you see on the track today. 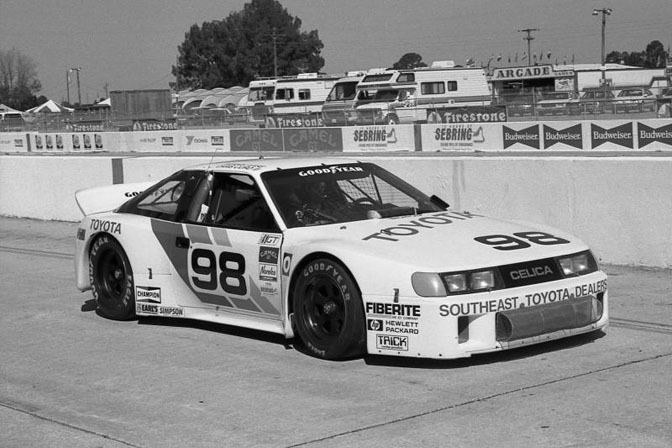 You might remember that Toyota USA has an IMSA Celica its historic collection. 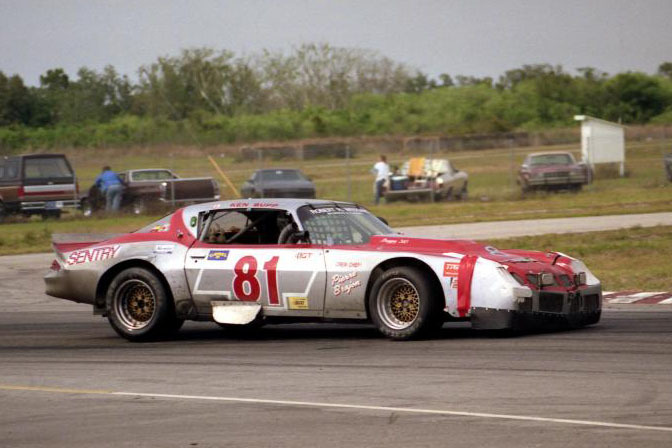 Well known NASCAR driver Wally Dallenbach could be found behind the wheel of this C4 Corvette, along with John Jones. This car would wind up on top of the GTO class. 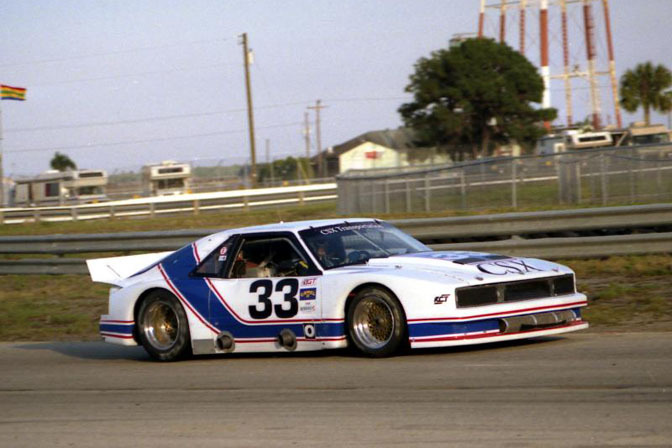 It's interesting to see that while some of the GT cars had very professional, factory-backed looks – others, like this 2nd gen Camaro had more of a backyard special vibe. 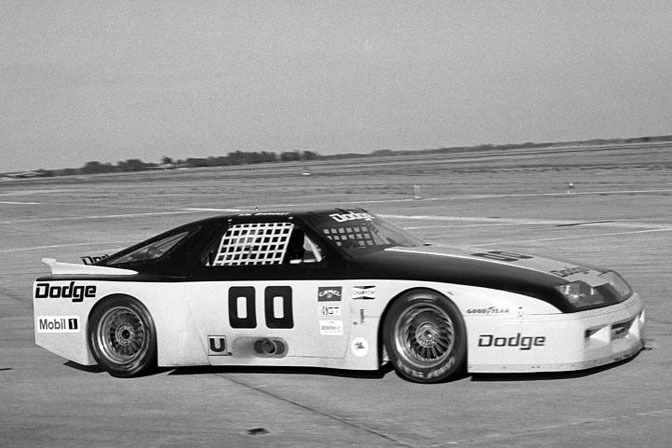 Another one from the prototype class, this one was Buick powered. 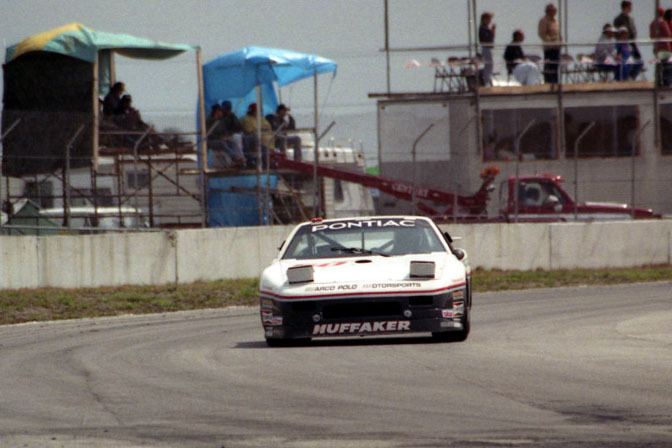 Browsing through these photos, you can see that the RX7 was a popular car on the GT circuit back in '88. 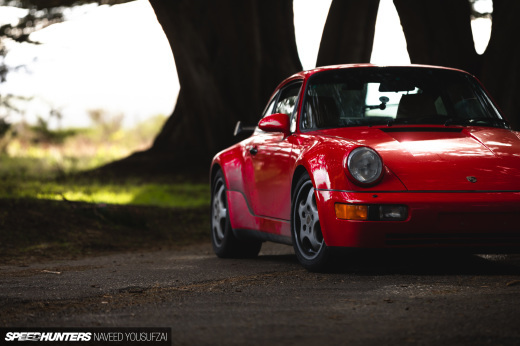 At first I was going to say, "check out this FC on old school Enkei racing wheels", then I remembered that back in 1988 there was nothing "old school" about this. 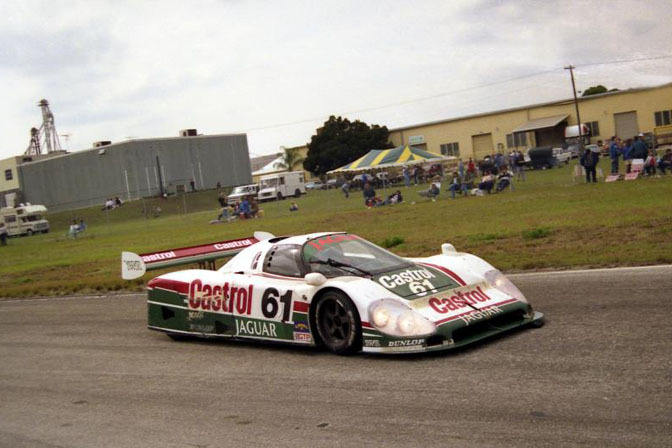 The Jaguar XJR-9 has to be one of the most unique looking GTP cars of the era. You just can't beat a race car with Castrol livery. 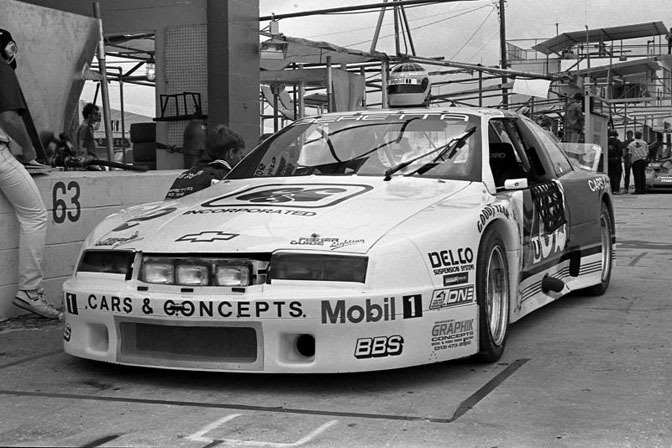 Another IMSA car that differs heavily from its production counterpart – the Dodge Daytona. 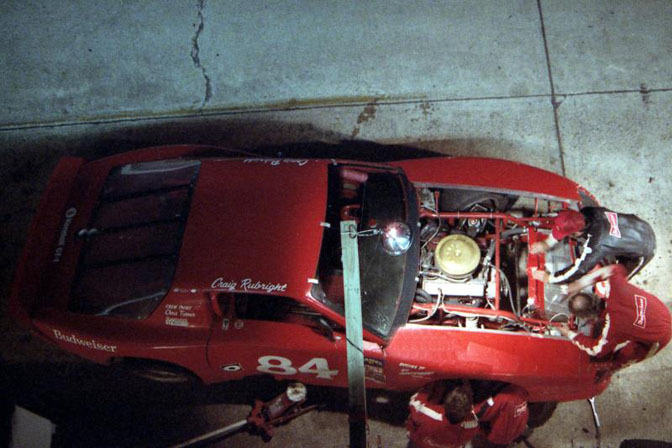 Great overhead view of a night time pit stop here! The World's Fastest Clown. I wish this one was in color! Not only does this RX7 look awesome, but the "Malibu Grand Prix" banner brings back fond memories of racing go karts as a kid. In fact, me and my friends used to have our birthday parties there. Anyone else spend time at Malibu Grand Prix as a youngster? 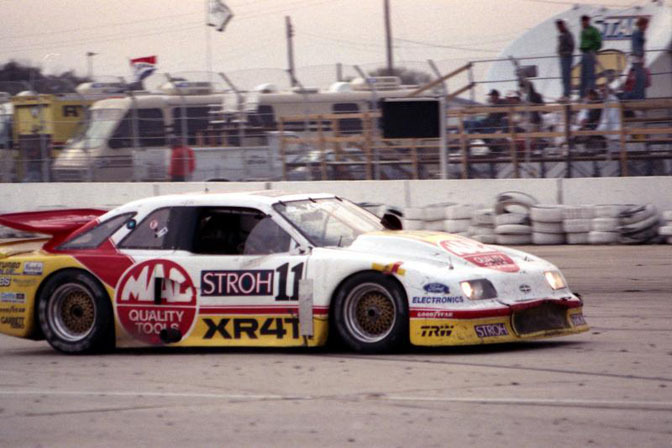 IMSA version of the Merkur XR4TI, which is the US market counterpart of the Ford Sierra. Very cool. 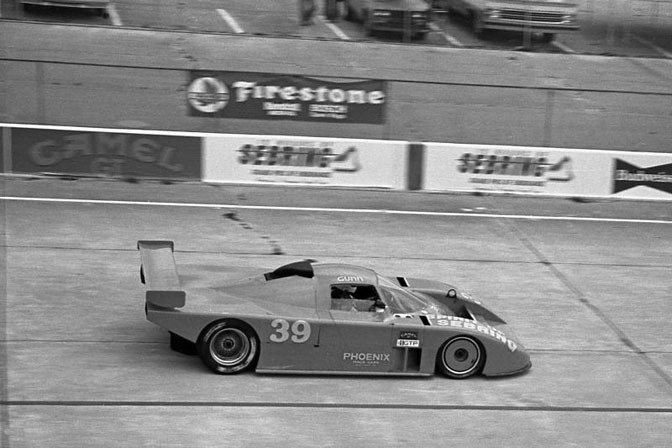 John Gunn drove this Chevy-powered Phoenix in the GTP class. 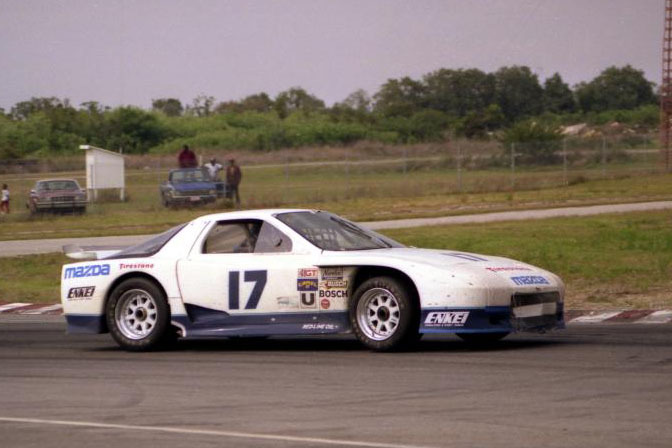 GTU class Pontiac Fiero. 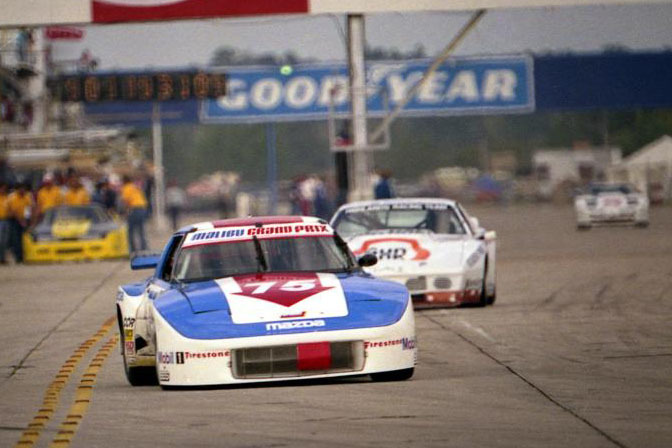 Nice to see some motorsport love for Pontiac's almost forgotten mid-engine sports car. One of my personal favorites, a Fox Body Mercury Capri GTO car. 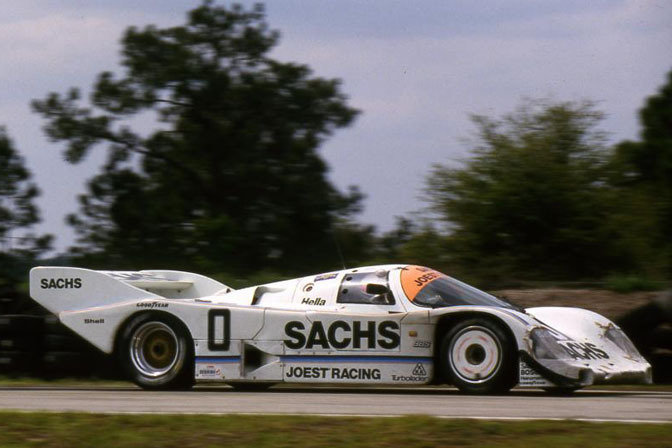 Finally, a shot of the race winning Porsche 962 driven by Klaus Ludwig and Hans Stuck. 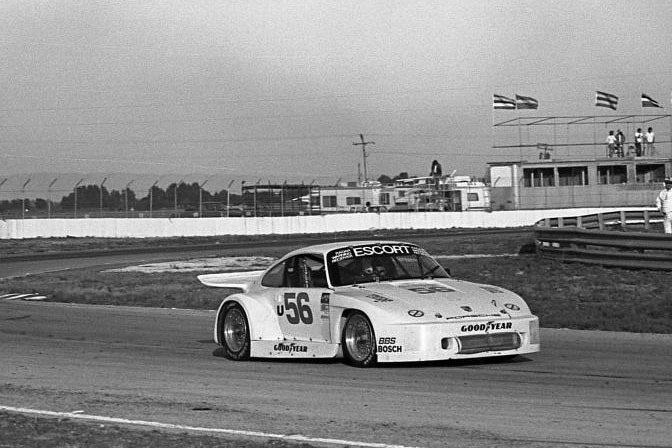 For more of these great vintage shots, you can head over to Mark Windecker's photo gallery. i wish i could go back in time and be in the middle of all this 93 is a little late of a start, eh? 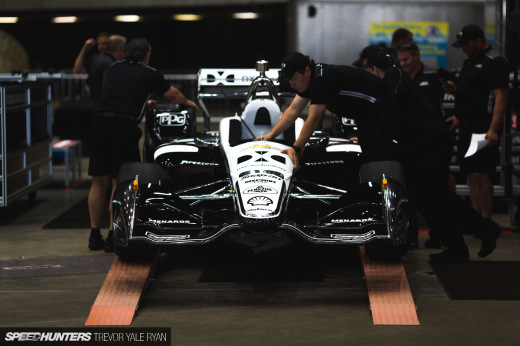 I never cared one whit about cars, until I went to my first race. 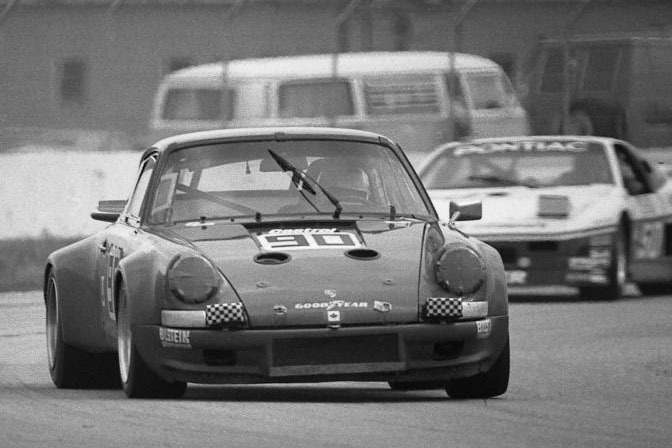 The 1988 12 Hours of Sebring, thanks for the pics. I just wish I could find a vid of the Polyvoltac Protofab Vette. Your chest would shake when it went by. According to racingsportscars.com The World's Fastest Clown driven by Mike Guido, Mike Graham, Alan Crouch didn't qualify. is there any dvds or docs on imsa???? 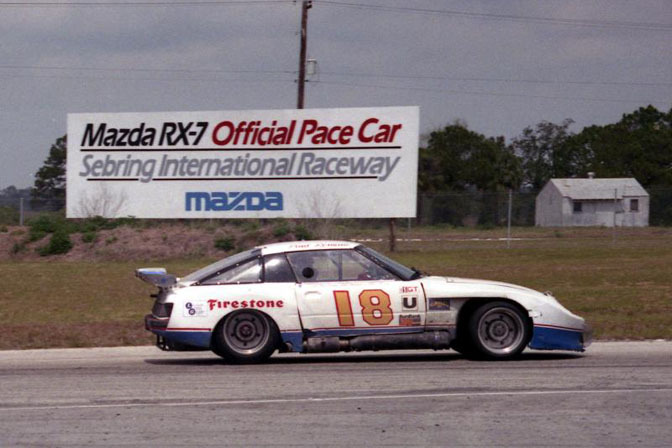 Those IMSA cars are awsome,especialy the IMSA Celica. 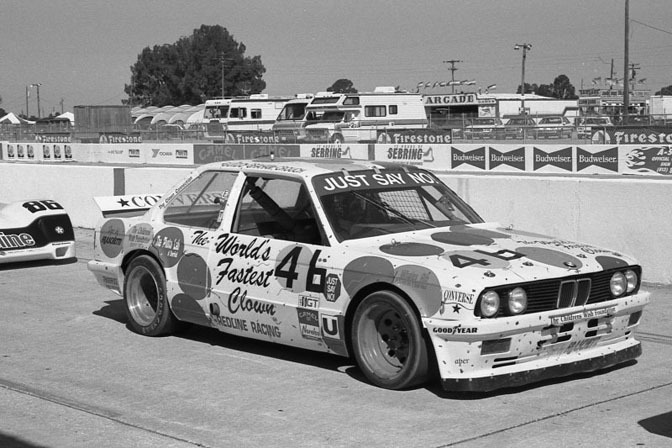 tobacco liveries are what i miss most about classic racing. i don't really remember all of these wonders, but we did get some of the variants in the UK.. hon. mention the Celica and the XR4Ti.. oowwee!! Impressive cars back in the day. Some nice race cars are that. Yep! I used to live at Malibu Grand Prix. Awesome time capsule love the racing history! Hells yes I remember Malibu Grand Prix! Did a commissioned painting of the Polyvoltac Vette - check my website. Great shots as usual! 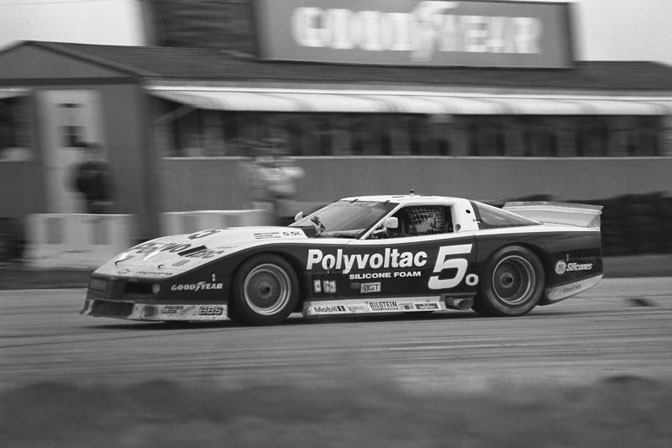 1988 was the end of the 962 era, as Geoff Brabham and Nissan would go on to win the first of their four IMSA GTP titles in a row. Imagine, a awesome amount of them assure to create you a millionaire - on the very minimum using the world of Azeroth - but as shortly when you start examining what they telephone call for to offer, you'd just come throughout factors that you've previously regarded thinking about that you simply experienced been killing thunder lizards using the Barrens.